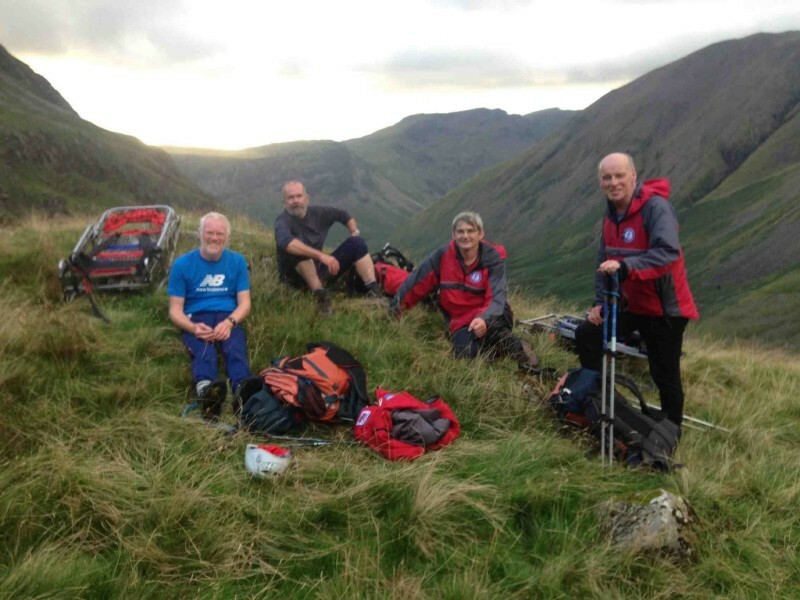 We were contacted by NWAS, via Langdale team to respond to a male walker who had tripped up on the Corridor Route path on Scafell Pike and injured his ankle. 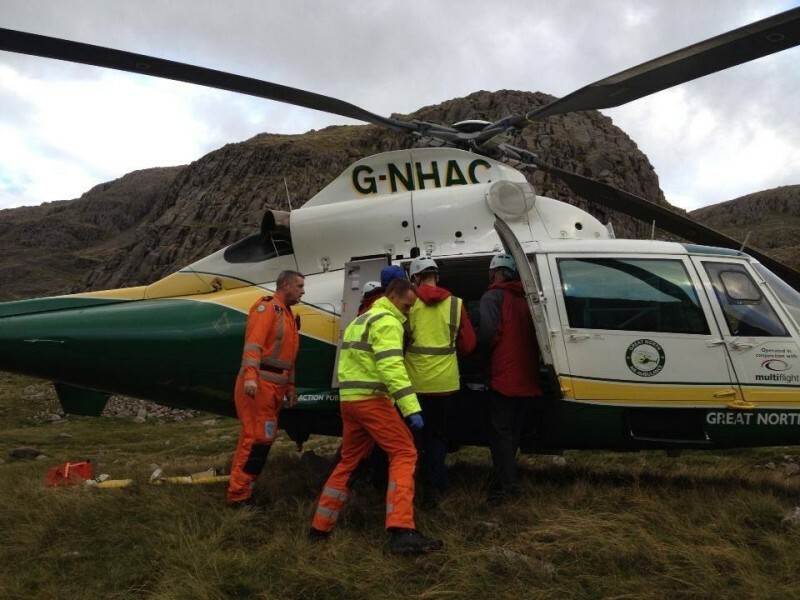 The Cumbria based aircraft from Great North Air Ambulance initially attended and splinted the casualty’s leg but was then called away to a serious road traffic incident. 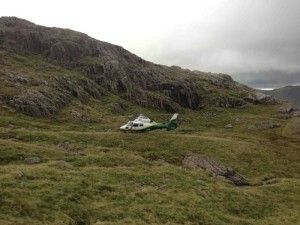 At this point, DFMRT were called to help assist with what might have been a difficult evacuation. 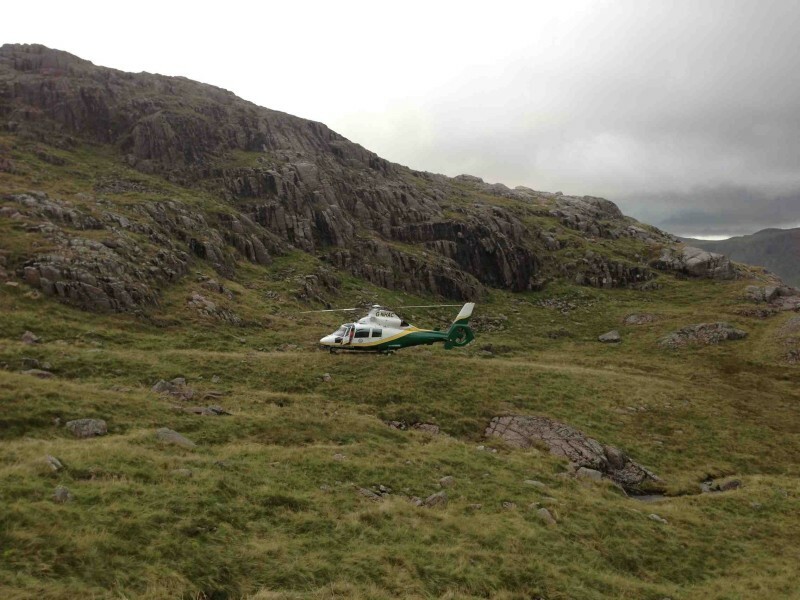 The team continued on foot and were then joined by the Teeside aircraft from Great North and together the casualty was carried into the helicopter then flown to West Cumberland Hospital. 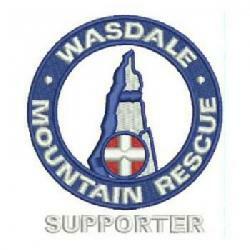 Incident closed 20:00, 15 Wasdale, plus similar number of Duddon involved.